Planters, as I often preach, are a great way to do so many things in the garden. 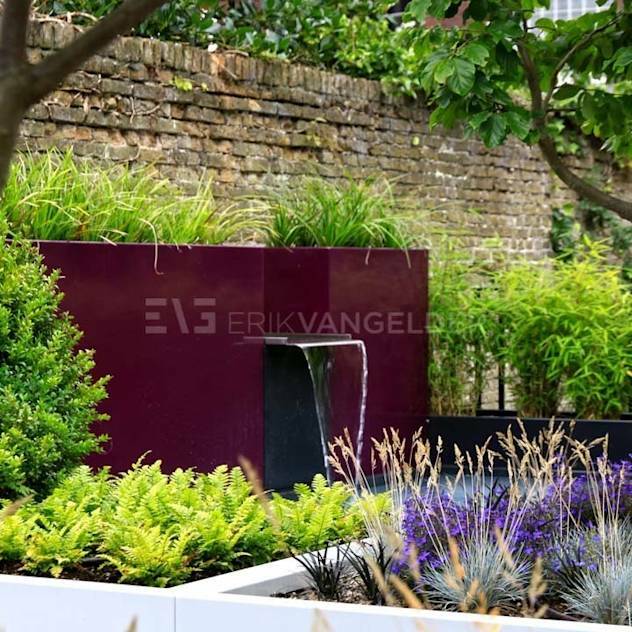 Not only do they allow you to plant in places you can’t usually but they vary the height of foliage, add colour to a design and can make a focal point which is crucial to a successful garden design. Playing with the scale of traditional planters is a great way to draw attention and an otherwise ordinary plant suddenly becomes a point of interest. 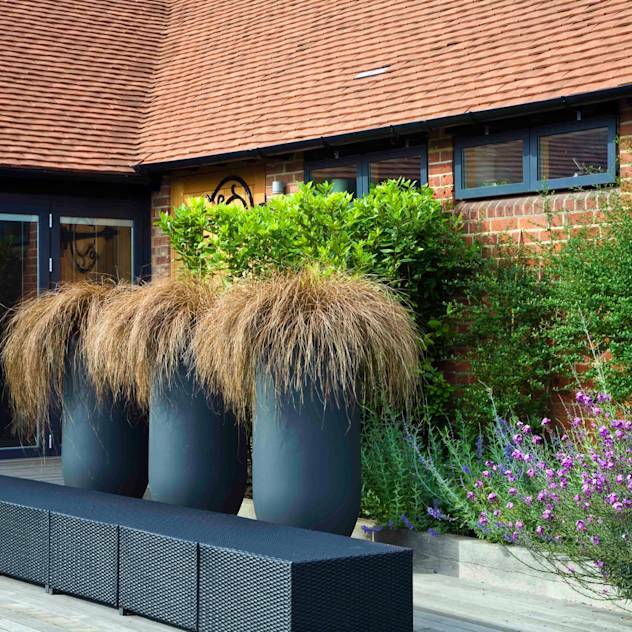 This over sized traditional plant pot is very fashionable at the moment as it takes a normally small flower pot and blows it up to be a striking 1 meter planter. 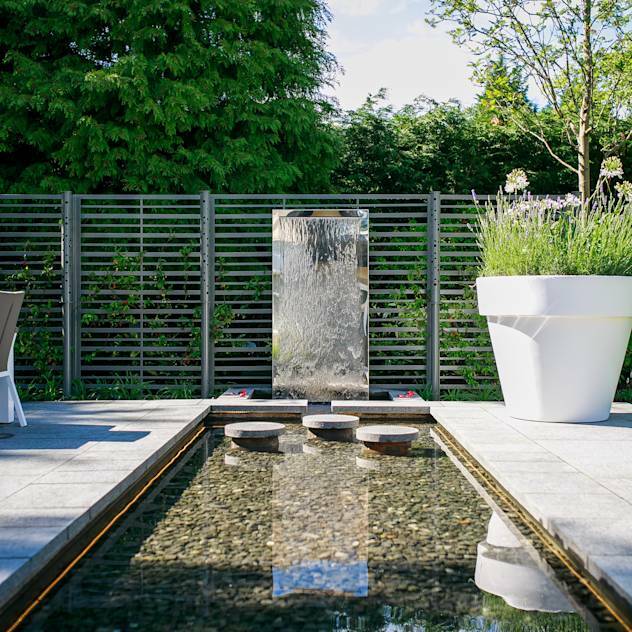 Most often we see planters that raise the foliage to a height that makes them easier to maintain and closer to look at but this one is different and for that reason draws attention and makes a feature. 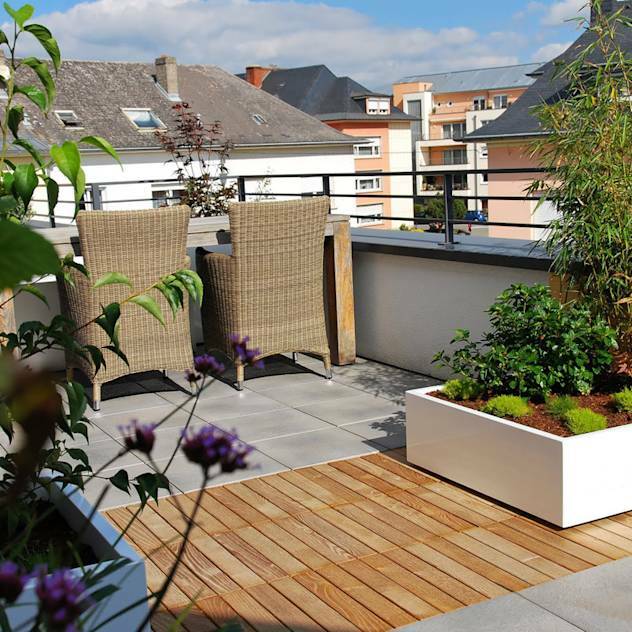 The low slung walls and minimalist contemporary design suits the environment well and allows planting of foliage on a roof top. 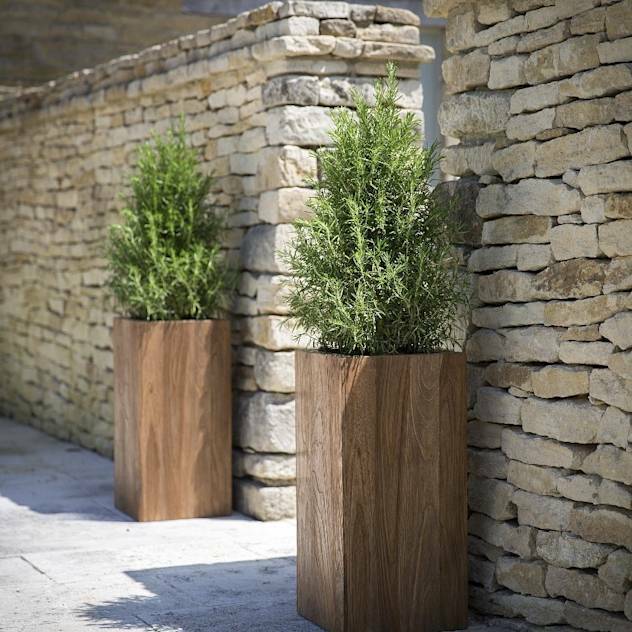 Taller planters are a superb proportion to mark a doorway and these teak wooden flower pots are a good example. 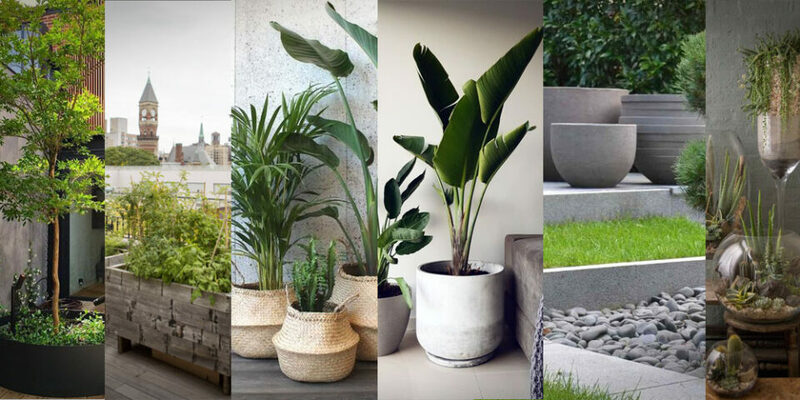 Wooden planters tend to need more care and maintenance than other materials like concrete planters but they have a warm and natural feel which is very appealing. Again here we see another example of how large planters can offer the ability to dress and environment in foliage that would usually not be able to. 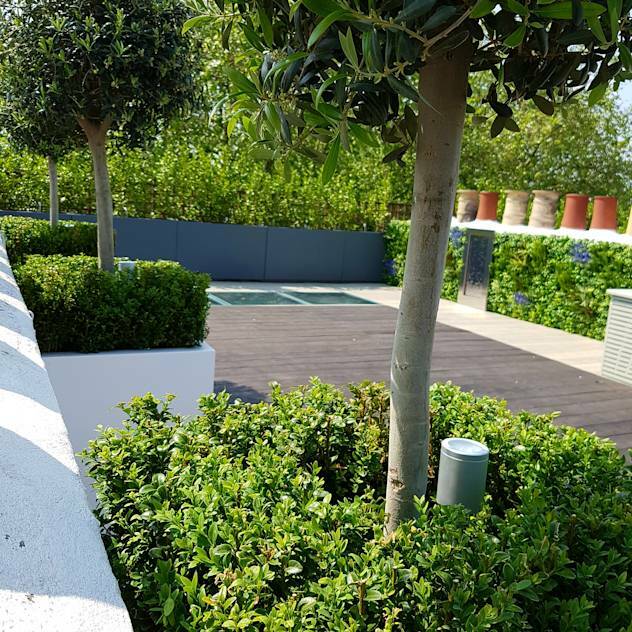 This roof terrace takes boxy, contemporary planters, simple buxus bushes and olive trees brings life to a new space. 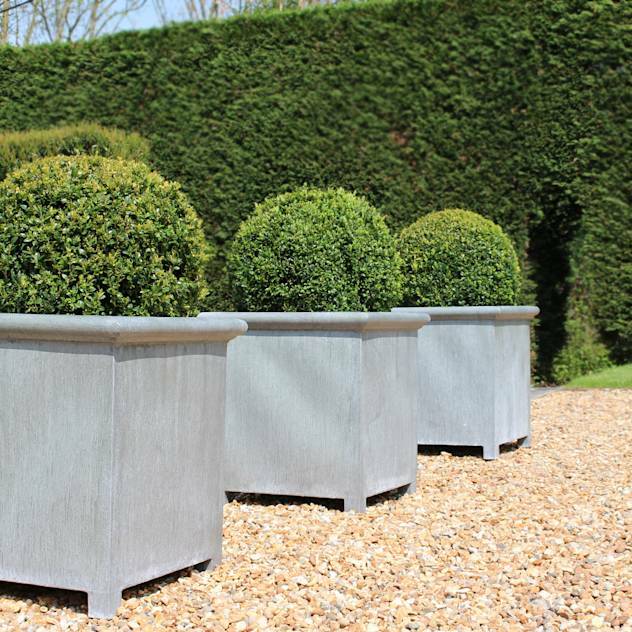 Oxford Planters by A Place In The Garden Ltd. 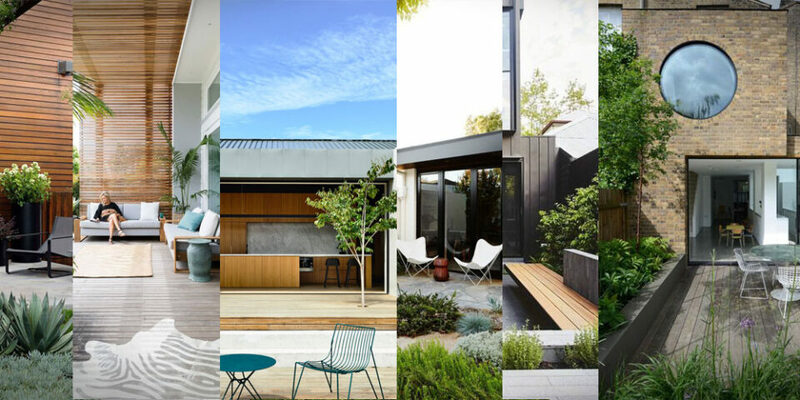 These are the up there with the ultimate luxury planter. A lead material is a classic and vintage technique that enables decorative designs to be pressed into the soft metal. 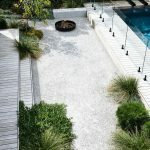 Nowadays there are materials that echo the effect well and even concrete planters can look similar for a fraction of the cost. 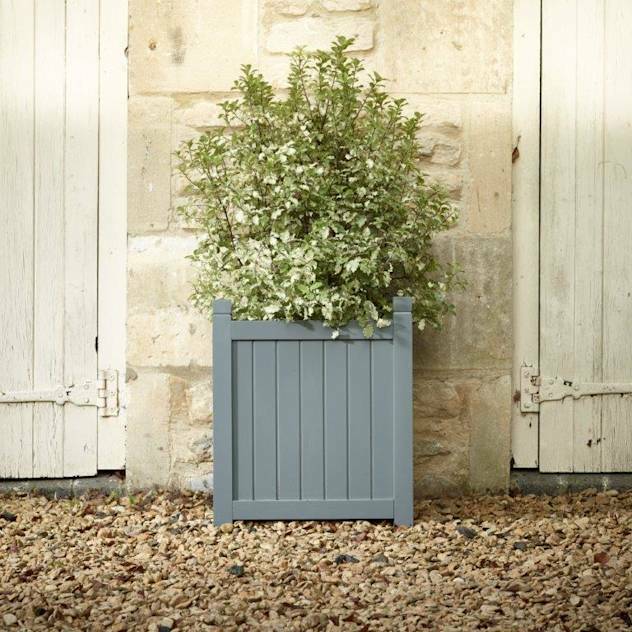 Oxford planters are a very English design that have been copied the world over because they fit so well in the English countryside and with Georgian architecture. Cheap stuff from the far east won’t set you back much but for a nice wooden hand made, custom planter you will be looking at more luxury pricing. 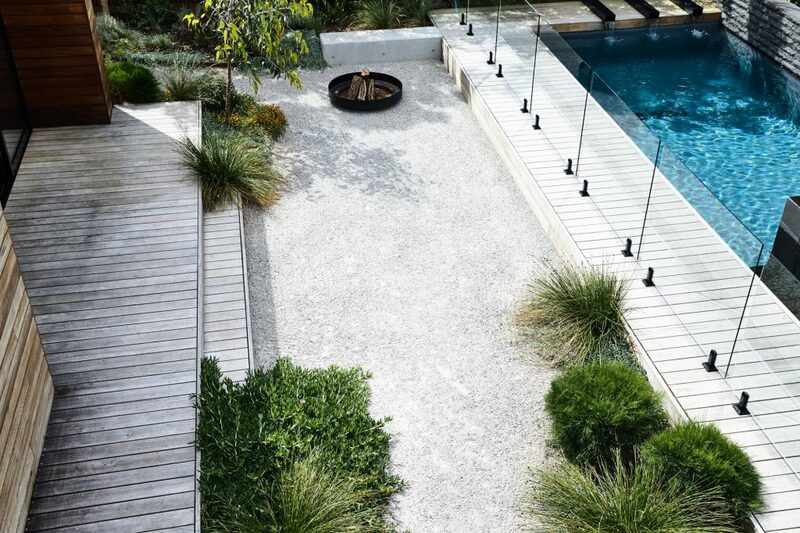 Modern advances with concrete mean that the finish and quality can be second to none. These Urbis pots are fibre reinforced concrete much like mine and have a very simple and universal design. The tall height means the grasses inside are observed from a different angle and make an interesting feature. 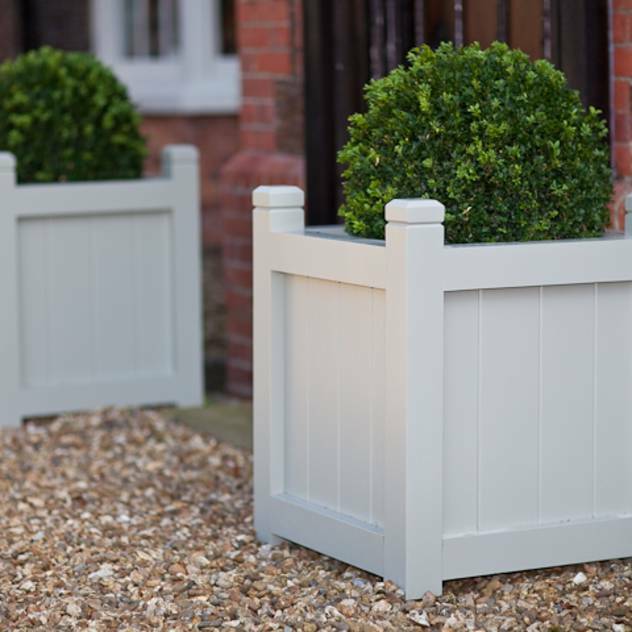 introducing some colour with planters can be a great way to keep the garden colourful all through the year. This can sometimes be a delicate operation though and an injection of colour can sometimes come off as tacky but these aubergine large planters work for me and they aren’t too glaring. This is my offering to the tall planter market. I call it a Kronen 90 and it is quite different from what is usually seen. The reason for this is that it is not an easy form to make so most stay away from production but my ethos is that I want to offer products that are genuinely interesting and different.